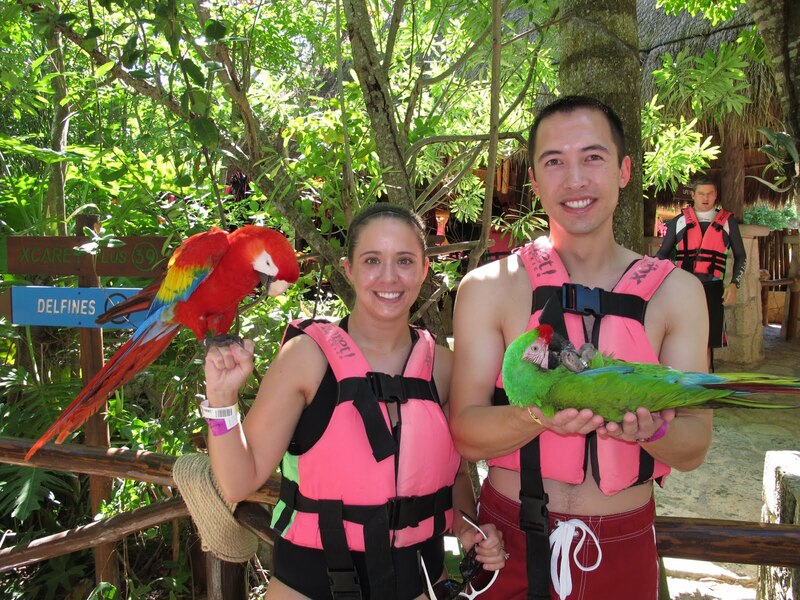 Andrea and Shawn went on a 7 night “Exotic” Western Caribbean cruise this past week on the Carnival Dream. We stopped in Cozumel, Belize, Isla Roatan Honduras, and Costa Maya. We had a bunch of fun, and some pictures of our excursions and cruising are below. 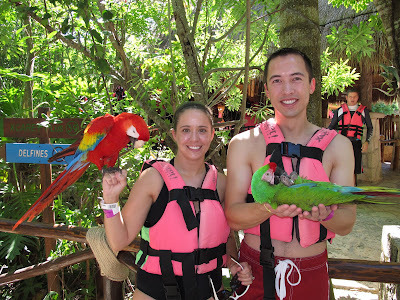 Cozumel – Rode a sea taxi to Playa Del Carmen and went to the Xcaret park. We floated the underground cave river with our life jackets and saw lots of marine life. Floating the underground river in Xcaret. 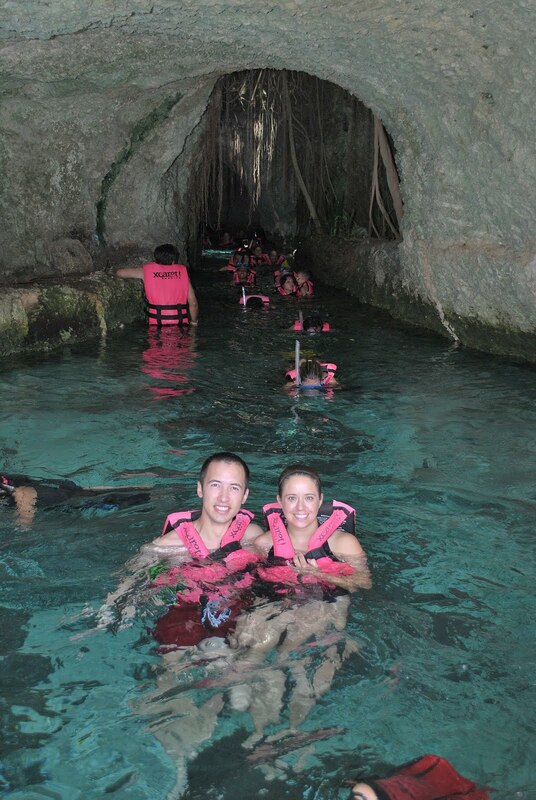 Belize – We floated through another underground river in tubes, this one was much bigger and the caves were enormous. No pics from inside the caves, we had lights on our helmets, but they didn't illuminate much of the cave and the tour personnel didn't end up capturing very good pictures. 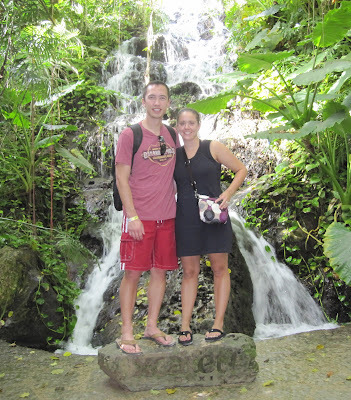 Mahogany Bay, Isla Roatan – We did the zip line here as well as a beach break afterward. The zip lines were great, very long and went through some beautiful countryside. After the zip lines we went to the beach and drank some pina colada, ate rice and beans and swam for a long time. 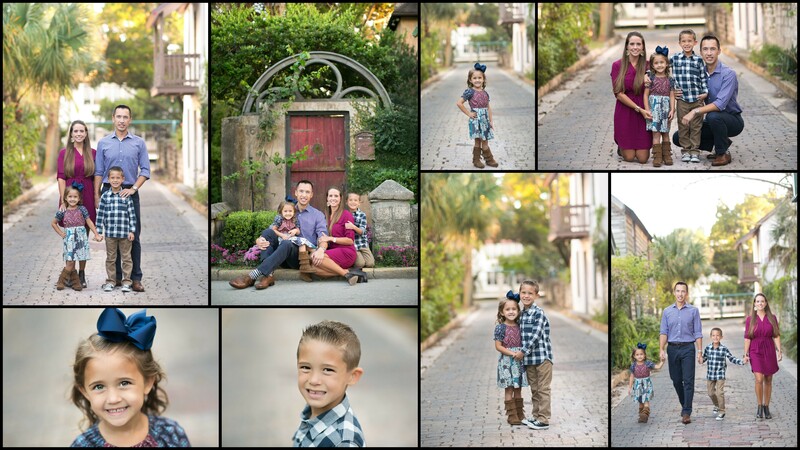 Great fun, but had so much fun we forgot to take any pictures. Costa Maya - We originally had planned to tour some Mayan Ruins, but after all the driving that was necessary to get to XCaret as well as the underground river in Belize, we wanted to do something more exciting and that wasn't too far. 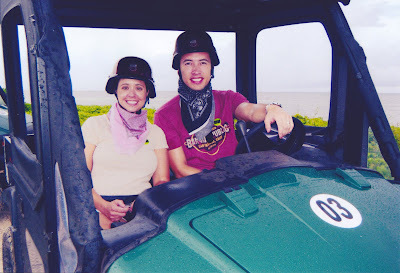 We changed from our Mayan tour to a dune buggy adventure, but upon arrival found out that the dune buggies seated 4, so only one of us would get a turn to drive. We were not pleased, so switched to a "Rhino" tour, where you drive what kind of looks like a golf cart that's been modified to go offroad. It was a great choice, instead of driving around in an open dune buggy on the beach in the rain, we had a roof and drove around in the jungle. It was much more fun than we expected. Andrea was a trooper and took her turn driving. Of all the couples that did this excursion, she was the only woman that took a turn at the wheel. They gave us bandannas to wear to keep the bugs off. Shawn was a little nervous that he'd look so awesome and badass that the authorities would think he was in the Mexican Mafia or something. A picture while we were driving near the beach. The video is very bumpy, you may get carsick watching it, but you can tell we were having a good time. Of course, the standard picture of someone smiling next to a towel animal! 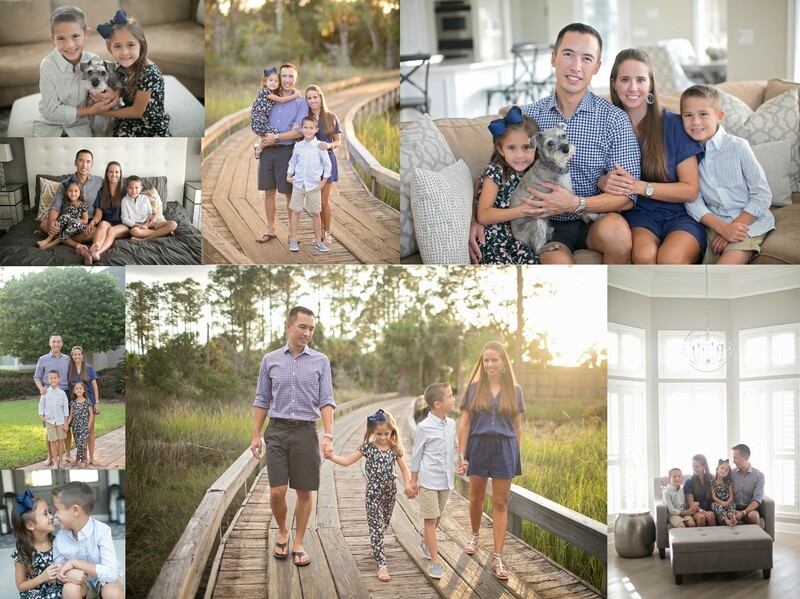 We were only able to get away for some much needed rest and relaxation thanks to our great parents. Thank you to Grandpas and Grandmas for taking such great care of our guys.